Bandel L. Carano, Managing Partner, joined Oak Investment Partners in 1985 and became a General Partner in 1987. Bandel’s investment focus is on Information Technology and Clean Energy. Bandel is currently on the Boards of Airspan Networks, Centric Software, Kratos Defense & Security Solutions, MobiTV, Mojix, NeoPhotonics, NextNav, nLight, Protean Electric, SmartDrive, and Solarflare Communications. Bandel has also led investments in and/or served on the Boards of 2Wire, Avici, CoreTek, Endwave, Fiber Tower, Good Technology, Netopia, Phononic Devices, Picture Tel, Polycom, Presidio, Qtera, Sentient Networks, Tegic, Trapeze Networks, Wellfleet, Entropic, Illustra/Informix, Sybase, Tele Atlas, Actel, Airgo Networks, CommQuest, Kenet, Level 5, NanoH2O, NemeriX, Newport Media, Resonext, SMIC, Synaptics, Virata, Interconnectix, Parametric, Synopsys, Tensilica, Wavestream, and Zayo. Prior to Oak, Bandel joined Morgan Stanley’s Venture Capital Group in 1983. He was responsible for advising Morgan Stanley on high-tech new business development, as well as sponsoring venture investments. Bandel received BS and MS degrees in Electrical Engineering from Stanford University. 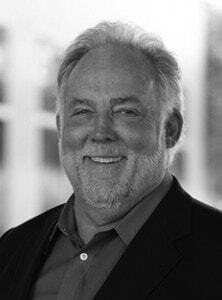 He currently serves on the Investment Advisory Board of the Stanford Engineering Venture Fund. Michael T. Flynn has served as a director of Airspan since July 2001. From 1994 to 2004, Mr. Flynn served as group president of ALLTEL Corporation, an integrated telecommunications provider of wireless telephony, Internet and high-speed data services. Prior to that, he was an officer with SBC Corp and the Bell System for 25 years. Since Sept. 2005, he has been a member of the board of CALIX Inc. (CALX:NYSE), a manufacturer of broadband access equipment, and participated in its successful IPO in 2010. Mr. Flynn also serves as a director of Atlantic Tel-Networks (ATNI:NASDAQ) since June of 2010, and is the current (since 2005) owner/president of Deli Planet Inc. (franchisee dba Jason’s Deli). He has previously served as a board member of several companies resulting in successful mergers or acquisitions, including: Taqua sold to Tekelec in 2004; WebEx Communications (NASDAQ:WEBX) sold to Cisco for $3.2B in 2007; Bay Packets merged with GENBAND in 2006, where Mr. Flynn continued to serve until 2009; and Linc (AMEX:ILC) sold to Broadsoft. Mr. Flynn earned his B.S. degree in Industrial Engineering from Texas A&M University in 1970. He attended the Dartmouth Institute in 1986 and the Harvard Advanced Management Program in 1988. Thomas S. Huseby has served as a Director of Airspan since January 1998, serving as Chairman of the Board from 1998 until 2000 and starting a second term as Chairman in 2010. 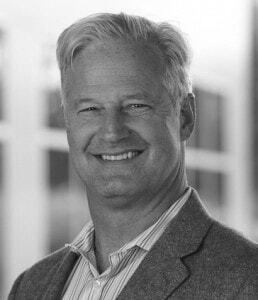 Since August 1997, Mr. Huseby has served as the Managing Partner of SeaPoint Ventures, a venture capital fund focused on communications infrastructure. Mr. Huseby has served as a Venture Partner with Oak Investment Partners since 1997 and from 2007 as a strategic partner with Covera Ventures and Voyager Capital. Prior to founding SeaPoint Ventures, Mr. Huseby was the Chairman and CEO of Metawave Communications and prior to that of Innova Corporation. Mr. Huseby is currently Chairman of the Board of privately held , Mojix, PhotoBucket, Glympse and Zumobi Inc. He is also a board member of Kineto and several other privately held ventures.. Mr. Huseby has a B.A. and a B.S.I.E. from Columbia University and an M.B.A. from Stanford University. 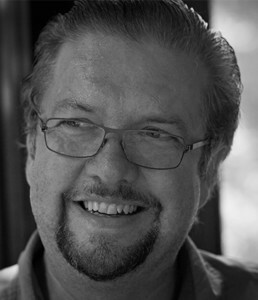 Scot B. Jarvis joined the Board of Airspan Networks Inc. in January 2011. He joined Oak in 1999 as a Venture Partner after a highly successful career in management and investment roles in the wireless communications industry. A graduate of the University of Washington, Scot founded and served as the first President of Nextlink Communications, served as a Regional President of Nextel, and served as a Senior Executive with McCaw Cellular (now AT&T Wireless). More recently, Scot was the Founder of Cedar Grove Investments, a private equity firm with a focus on wireless communications. He has served or currently serves on the boards of public and private companies, including Good Technology, Kratos Defense and Security Solutions, Airspan, Savary Island Wireless, and Slingshot Sports. Scot focuses on Oak’s investments in the wireless communications market. Mathew Oommen joined the Board of Airspan Networks Inc. in June 2014. Mathew is President Network, and Global Strategy and Service Development at Reliance Jio Infocomm Limited.In this role, Mr. Oommen is enabling India’s transformation to broader digital services adoption. 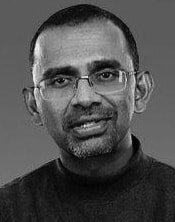 Prior to Reliance, Mr. Oommen was Chief Technology Officer of Sprint, responsible for network and technology development, systems architecture, device development, including leading the M2M/Connected Car Service development. Prior to joining Sprint in 2008, Mr. Oommen was President of technology and services for the Reliance Industries Group in India. He has also served as Chief Technology and Product Officer at Flag Telecom (a Reliance Company) and has held executive positions at Williams Communications/Wiltel Group and MCI Worldcom/Verizon. Eric D. Stonestrom joined Airspan as Executive Vice President and Chief Operating Officer in January 1998. In May 1998, he was named President and Chief Executive Officer, as well as a member of the Board of Directors. From 1995 to January 1998, Mr. Stonestrom was employed by DSC Communications Corporation, a provider of telecommunications equipment and services (“DSC”), as a Vice President of operating divisions, including the Airspan product line. From 1984 until 1995, Mr. Stonestrom worked at telecommunications corporations Bell Laboratories and AT&T in a variety of positions. He received B.S., M.S. and M. Eng. degrees in 1982, 1983 and 1984, respectively, from the College of Engineering at the University of California at Berkeley. 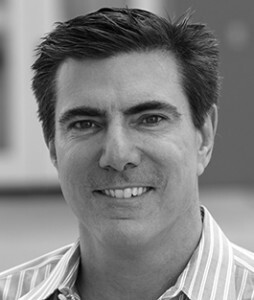 Eric D. Stonestrom is a founding member of Airspan. Mr. Trempont has been a director of Airspan since May 2018. He serves on the board of Real Networks, a cloud based SaaS company focused on mobile applications, as its lead director and chair of the Risk and Audit Committee, since July 2010. He serves as a board director of Daily Mail and General Trust plc, a producer of content, information analytics and events for businesses and consumers, since February 2011. He has also served as a director, chair of the Audit Committee and of the Nomination and Governance Committee of Energy Recovery, Inc., a manufacturer of efficient energy recovery devices utilized in the water desalination industry, for 9 years, since July 2008. From 2005 to November 2011, Mr. Trempont served as a director of Finisar Corporation, a global company that develops and markets high-speed data communication systems and software for networking and storage. From 2006 to April 2010, Mr. Trempont served as a director and chair of the audit committee of 3Com Corporation, a network management company that was acquired by Hewlett Packard in April 2010. From 2003 to 2005, Mr. Trempont was CEO-in-Residence at Battery Ventures, a venture capital firm. Prior to joining Battery Ventures, Mr. Trempont was Chairman, President and Chief Executive Officer of Kanisa, Inc., a cloud service company focused on artificial intelligence and machine learning to enable enterprise self-service applications, from 1999 to 2002. Mr. Trempont was President and CEO of Gemplus Corporation, a smart card and Internet-of-Things focused company, from 1997 to 1999. Prior to Gemplus, Mr. Trempont worked closely with Steve Jobs on the turnaround of NeXT Software; he served as Chief Financial Officer and head of Operations of the company. Mr. Trempont began his career at Raychem Corporation, a materials science and technology company focused on telecommunications, electronics, automotive and other industries. He currently serves as a director of the privately held on24, a marketing automation cloud SaaS company. He was an adjunct professor at INSEAD from 2010 to 2016. Mr. Trempont earned an undergraduate degree in Economics from College St. Louis (Belgium), a B.A. with high honors in Business Administration and Software Engineering (LSM) from the University of Louvain (Belgium) and a master’s degree in Business Administration from INSEAD (France/Singapore).